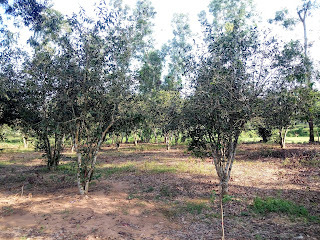 Cha or Tea (camellia sinensis, family: theaceae) is a one of the most cash crops in Bangladesh. It is a bushy shrub or small tree with profuse branches. A kind of energetic and tasty drink is prepared from its young leaves and it is one of the most popular hot drinks of the world. 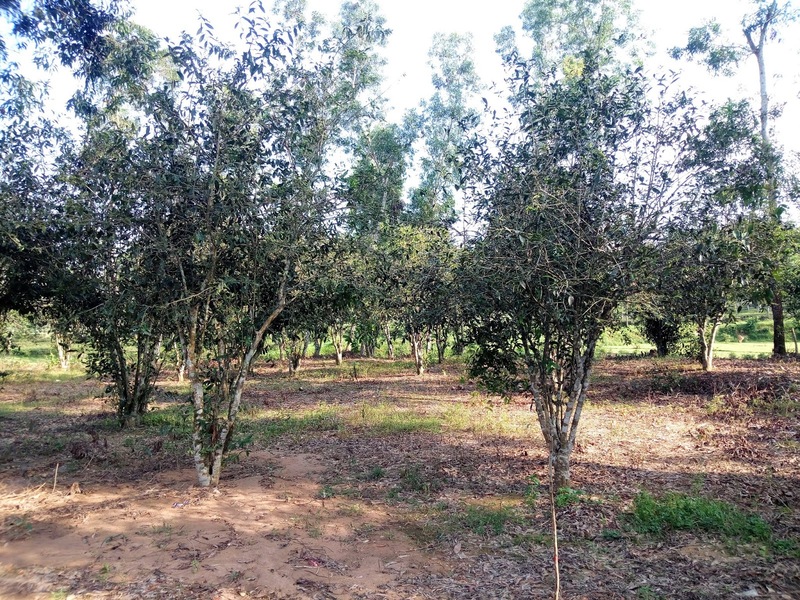 In its natural habitat it can get a height of 3-4 m. For the purpose of collection of young leaves it is kept at a height of 1-2 meters by pruning. East Asia is the original home of the plant. The drink is so popular that nowadays it is cultivated throughout the tropical or subtropical world. Leaves are dark green, 3-14 cm long, pale beneath, leathery, ovate, edge serrated. Flowers are whitish, sweet-scented. Petals 4 and arranged in several layers, cluster of yellow-colored stamens in the middle of flower. Flower blooms in late autumn (November-December). The fruit is almost round. Propagation of the plant is caused by cutting and seed. Its a long-lived plant. According to a source, the young leaves were collected from a 150-years-old tree. There are 164 tea gardens in Moulvibazar, Habigonj, Sylhet, Chittagong and Panchagar in the country. 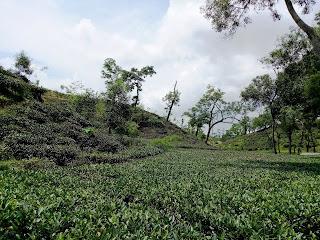 The first notable tea garden, Malnichhora, which was established in 1847 in Sylhet district. By the by, Bangladesh stands 10th position among the most tea-producing countries of the world.